Ottawa, Canada-based Michael Regenstreif has written several articles on new Jewish music for the Ottawa Jewish Bulletin. The following have been reprinted on the KlezmerShack. E-mail Mike Regenstreif. "Recent CDs range from Middle Eastern cello to klezmer to bebop", Sept 6, 2010. Virtuoso cellist Maya Beiser grew up on Kibbutz Gazit in the Galilee where, she says, she formed a deep spiritual connection to the land and to nature in an environment in which everyone played a musical instrument and supported each other. The album begins with “I Was There,” a four-part suite composed by Kavhan Kalhor, an Iranian Kurd whom Beiser met in Brooklyn, that has Beiser’s cello interacting with Bassam Saba’s oud and percussionists Shane Shanahan and Jamey Haddad in a hypnotically beautiful composition that evokes the music of North Africa and the Middle East. It’s followed by “Memories,” a sad, two-part piece for solo cello by Armenian composer Djivan Gasparian. Perhaps the most elaborate arrangement on the CD is the four-part suite “Mar de Leche,” that Israeli composer Tamar Muskal based on a traditional Ladino folksong. The quiet singing of Etty Ben-Zaken is in perfect sync with Beiser’s cello in the first movement. Later, Saba’s oud and the percussion of Shanahan and Haddad seem to reflect the turbulence of the Inquisition leading to the expulsion of the Jews from Spain. In “Only Breath,” composed by Douglas J. Cuomo, Beiser captures the quiet beauty of Sufi chanting in overdubbed cello parts and no other instruments. The album ends with a two-part cello and drum arrangement of Led Zeppelin’s ambitious “Kashmir.” Although their interpretation is very different from Led Zepp’s, Beiser and rock drummer Jerry Marotta capture all the rock ‘n’ rollmeets- Middle Eastern intensity of the original. While Bessarabian Breakdown may be the first album that Jim Guttmann has released under his own name, he’s got a long history as the bassist of Boston’s Klezmer Conservatory Band—one of the leading ensembles of the klezmer revival of the past three decades—as well as credits with many other ensembles playing music ranging from classical to jazz to bluegrass. Klezmer styles dominate this CD of mostly traditional tunes, but Guttmann also incorporates swing, Latin jazz, bebop and traditional Middle Eastern influences in his arrangements. He also surrounds himself with a stellar set of musicians including violinist Mimi Rabson and drummer Grant Smith, who are fellow Klezmer Conservatory Band alumni, and amazing horn players including Klez Dispensers leader Alex Kontorovich, Frank London of the Klezmatics, and Boston jazz legend Billy Novick, who co-produced the CD with Guttman. Always at the centre of the arrangements of this captivating album is the heartbeat bass playing of Jim Guttmann. The Red Hot Chachkas are a very cool klezmer fusion band from the San Francisco Bay area, fresh from their Canadian debut at the Ashkenaz Festival in Toronto last week. 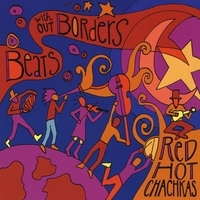 Beats Without Borders includes 14 tunes, composed by one or another of the band members, which has them creating new klezmer music that variously incorporates strains of world, jazz, rock, R&B and folk music. Opening number “Zets,” composed by clarinetist Barbara Speed, is a punchy piece that seems to be part Eastern European, part Middle Eastern, part bebop and part surf-rock. “Five Old Shekels,” by mandolinist Tony Phillips, puts a minor key klezmer spin on the melody of the Appalachian fiddle tune “New Five Cents,” while the intense “Midtog Nign,” composed by violinist Julie Egger, was inspired by Chassidic men at prayer. The musicianship on Beats Without Borders is inspired and inspiring. 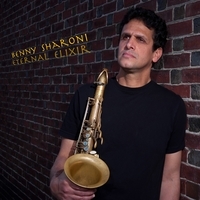 Benny Sharoni, an Israeli tenor saxophonist now based in Boston and making his mark on the American jazz scene, has released a fine collection that combines four original bebop tunes with six classics. Among the standout tracks is “Bernstein,” Sharoni’s soaring jazz tribute to the symphonic conductor and composer Leonard Bernstein, who did so much to introduce various kinds of music to classical audiences. Solos by Sharoni and guitarist Mike Mele on top of the tight rhythms of pianist Joe Barbato, bassist Todd Baker and drummer Steve Langone make the track a constant delight. Another highlight is a very hip version of “To Life,” from Fiddler on the Roof on which Sharoni’s sax work is complemented by Barry Reis on trumpet. In addition to the bebop arrangements that dominate the album, Sharoni also plays a couple of nice jazz ballads including a gorgeous version of “Sunny,” the late Bobby Hebb’s R&B hit. Copyright © 2010 Michael Regenstreif. All rights reserved. This page is maintained by Ari Davidow. E-mail Ari Davidow with any comments or suggestions. Last revised 16 October, 2010.